From fruity treats and fairy cakes to tempting tray bakes and crowd-pleasing three-tier cakes, Aldi is making baking easier than ever with its new Summer Baking range, available in stores and online on 27th August. 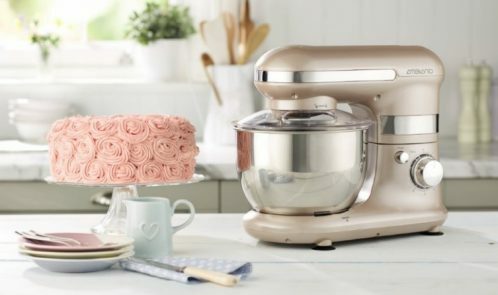 Budding bakers can create the perfect cake with a Classic Stand Mixer (£64.99), including a six-speed rotary control with a balloon whisk, beater and dough hook. With four colours to choose from, it sh ould hopefully fit in with most of your colour scheems. Aldi’s Sweet Treat Maker (£19.99) will take the stress out of whipping up homemade goodies. 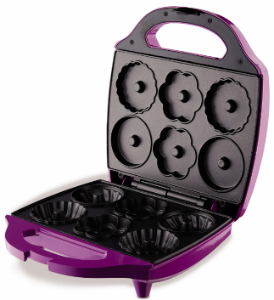 Choose from teacake maker, mini pancake maker or waffle maker. 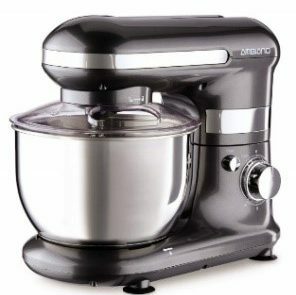 Featuring automatic temperature control, an auto-lock clip and cord-wrap for compact, upright storage, this great-value gadget (see pic below) will leave bakers tucking in to tasty treats in no time. With a choice of a flat plate, jug or bowl scale feature, Aldi’s Digital Kitchen Scales (£6.99) are just the thing for measuring both solids and liquids, whether its flour or water, for spot on quantities every time. Take inspiration from the baking queen herself with Mary Berry Cookbooks (£2.99), which cover several different dishes, including puddings and classic kitchen favourites. The Summer Baking range also has an array of kitchen essentials for creating, displaying, and storing those delicious creations. A choice of Enamel Mixing Bowls (£9.99), in three sizes, and an Anti- Gravity Cake Stand (£5.99) are perfect for celebration cakes and centrepieces. Whether its gifting, storing or serving, Aldi’s Preserving Jars (£2.99) are an essential for jam and chutney lovers. To top it all off, the Love Dessert Serving Range (£7.99) makes for perfect presentation at any occasion. The Aldi Specialbuys Summer Baking range is available in stores nationwide and online at www.aldi.co.uk from 27th August – but be quick, as with all Specialbuys, once it’s gone it’s gone!